Cyber security is general Internet safety, which includes protection of anything connected to or accessible by the Internet- from networks themselves to the information stored in computers. Technology has changed immensely in the past 25 years, and it only continues to advance. The Internet has brought us so many benefits; email, electronic messaging, and personal websites allow us to stay connected, informed, and involved with family and friends. The Internet also provides an easy way to shop, plan travel, and manage finances. However, with these increased conveniences comes increased risk. Just like any other public environment, the Internet requires awareness and caution. Just as you use locks to keep criminals out of your home, you also need safeguards to secure your computer. Now think of your parents, and how they deal with new technology. For some, it’s been relatively easy to start using the Internet, but for some it’s been more challenging. The danger comes from that fact that their basic skills don’t shield them from online threats and viruses, because their knowledge of Internet security is close to nothing. According to the US Census Bureau, as of 2013, 65% of Americans over 65 years of age own a computer and 58% also have an Internet subscription, and a large category of frauds and scams target them directly, according to the FBI. The tendency to be interested in medical advice, medical equipment and others types of products pertaining to this area. It shouldn’t be too difficult to teach your parents about information security in its most basic form. You should try to use as few technical terms as possible and try to find real world equivalents of the situations you use as examples (do include plenty of those!). Tech terms just sound like something you’re making up when talking to parents, so do your best to use examples and help them understand why keeping safe online is important. Explain to your parents that their digital assets (bank account, personal information, etc.) need as much protection as their physical ones (house, car, wallet, etc. ), except that, for the most part, they can’t insure their digital belongings, so they should be extra careful with how they handle the information, without making them paranoid, of course. Or next time you’ll find the laptop unplugged and locked in the basement. Helping them understand that the consequences of their online actions have as big of an impact as those they do in real life will give them a better perspective on how they can be affected by cyber-criminals. And remind them constantly that hackers don’t target only certain categories of Internet users, but extend the effects of their malicious tactics to as many people as they can reach. Warn them against installing new software on their computer without consulting you first. For this last part we also recommend installing Team Viewer. It will come in handy if something goes awry and you need to see what the situation is, so you can fix it. Be open and approachable about your parents’ questions and don’t talk in a condescending manner. It’s important for them to be vigilant online and to know how to react to different triggers that cyber-criminals might use (banners, links, spam, etc.). Of course, remember to advise them against giving their personal information for any forms or contents they may come across online. You don’t want to worry them too much, but enough to be observant, while still enjoying Wikipedia, Facebook or other websites. A good way to teach your parents about security features on their laptop is to show them how to store their passwords in a safe place and to set up a password for their computer. When it comes to paying bills, show them what security symbols they should be looking for (SSL, the padlock symbol, etc.) when making a financial transaction. Teach them what alerts to look for when if the antivirus kicks in (you should install this right after the initial setup) or for signs of malware infection and assure them that they can give you a call anytime they have questions. At Assisting Hands® Home Care, our skilled caregivers provide peace of mind in terms of keeping your parents cyber safe. All our caregivers are trained to make sure your parents don’t leave passwords or other sensitive information lying around in the house and help with safe browsing when needed. Whether you need someone to be with you or your loved one during the day, in the evening or overnight, our at-home care can accommodate your needs. You will have peace of mind knowing that they aren’t home alone when they need help with cyber security, medication, fall prevention, personal care, eating or other needs. 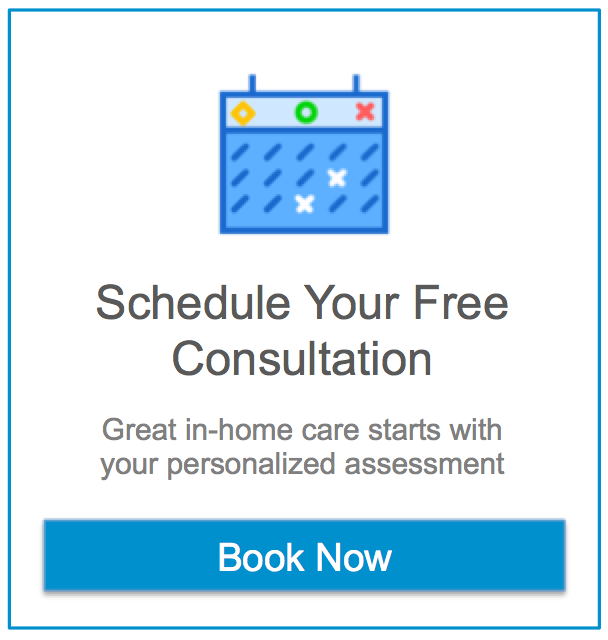 Contact us today to schedule your free in-home care assessment at 262-721-1155. To learn more about our in home care, click here. Previous post Early onset of Alzheimer’s disease Next post Top regrets from people on their death bed!